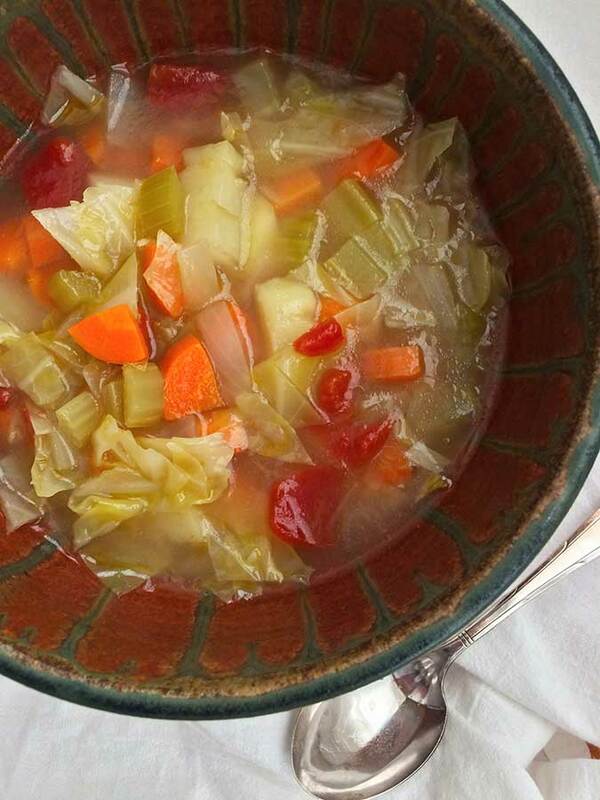 'Good for You' Vegetable Soup Don't tell them it's healthy! 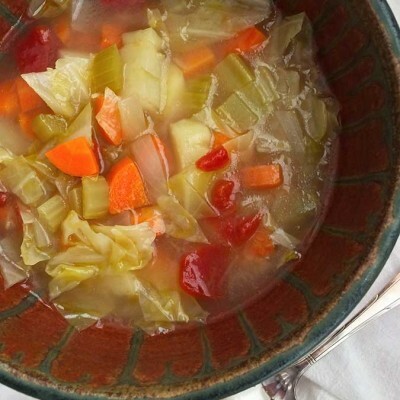 Even carnivores will enjoy this simple, hearty soup, but you can make it completely vegetarian by replacing the chicken stock with vegetable stock or water. Boost the nutrition by adding a cup of canned, drained cannellini beans. Heat the olive oil in a large stockpot or Dutch oven over medium heat. Add the onions, celery, carrots and garlic. Cook, stirring, until the vegetables are soft but not browned, about 5 minutes. Add the chicken broth, tomatoes with their juice and potatoes, plus enough water to cover the vegetables by about 2 inches. Taste, then add salt and pepper. Bring the mixture to a boil, then reduce the heat to medium-low, cover and simmer for 30 minutes. Add the cabbage, stir, and simmer for another 5 minutes or so, just until the cabbage is soft. Debbie Moose (debbiemoose.com) has authored seven cookbooks and is a former food editor for The News & Observer in Raleigh.